In simple terms: Perfectly tuning your vehicles computer and mechanical components to run at higher power levels. Dyno tuning is the only way to perfectly tune a vehicle correctly for ultimate Performance. Every vehicle is different and every vehicle has different mods, this is why a dyno tune is needed. Dynos allow the tuner to see what the vehicle is doing from the start and then adjust the ECM for a peak HP output. Based on what that one vehicle is doing. The technology involved is very intricate and involved specific software to ensure the correct adjustments are made. This is why a generic chip or mail-order tune will rarely give optimum results. 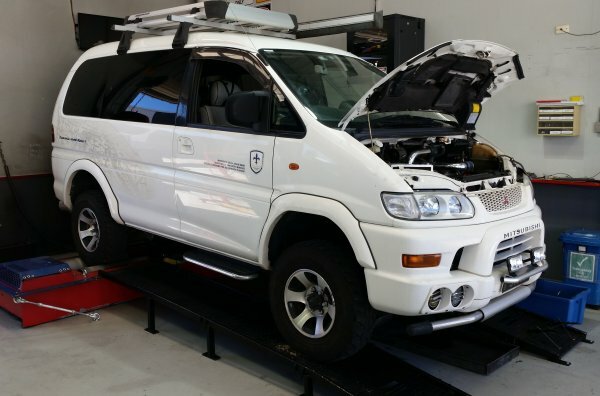 Diesel Australia uses Alientech Tuning Technology and AVA Performance ECU Tuning to get you the best possible results. Your vehicle will be put on a dyno, and hooked to a laptop via the ODB port under the steering wheel. It is also hooked up to the dynos many sensors to measure boost, air fuel ratios, pyrometer temps and more. We then make a few passes with the factory vehicle settings to get a base line reading. From here the tuner can adjust the air/fuel ratio, advance the timing, change torque limiters, change throttle response etc. We then adjust many things while making dyno runs in between changes to find the very best combination for your engine. Early, mechanical style vehicles have adjustments made to the injection pump to achieve these results. Depending on what you want for your vehicle (i.e. Drag Strip, Towing, Street Driving etc. ), the results can range from a lot more power to being a lot more economical on fuel. We will always discuss your requirements when you drop off your vehicle to ensure we will be achieving what you are wanting to get out of it. That way you get a tune for your vehicle and your intended use. Some vehicles can even be fitted with selectable tunes from the dash, i.e. towing / economy / race etc. Call us now and see how we can help!